I understand Evan Bayh's concern about the deficit--it is large, and eventually the bond markets (particularly our foreign creditors) might have something to say about it. But, for the moment, I think he needs to take a couple deep breaths. Last month the Office of Management and Budget predicted that the national debt will increase by $9 trillion over the next decade—$2 trillion more than forecast just four months earlier. Government net interest payments exceed $1 trillion in 2019, up from $382 billion this year. Because projected deficits exceed projected economic growth, the gap will be self-perpetuating. The consequences of all this will not be benign. A world saturated with U.S. currency will eventually look elsewhere to invest, causing the dollar's value to drop; foreign creditors, their confidence shaken by our fiscal profligacy, will demand higher payments to keep holding our debt. The net effect will be "stagflation," that pernicious combination of slower growth, higher inflation and interest rates, and lower living standards Americans suffered through in the 1970s. The flaw in this line of argument is that without the higher spending and lower tax revenue behind that additional $2 trillion in deficits, growth would have been (and would be going forward) much, much lower, leading to even larger deficits down the road. The Chinese, our biggest foreign creditors, understand this. Which is why they've been pretty supportive of the Obama administration's efforts to revive the economy, even as they've added to the deficit (see the discussion in this piece). For the next fiscal year, assuming the economy has gathered sufficient momentum, we should freeze domestic discretionary spending, limit increases in defense spending to the rate of inflation, forgo pay raises for federal workers, and institute a federal hiring freeze. These steps alone won't put our fiscal house in order; more difficult action is needed. But by showing common cause with middle-class families facing their own budget crises, we can send an important signal that Washington has the will to chart a more responsible course. Obviously, we need to lower the deficit at some point--very few people disagree with this, and basically no one in the administration. 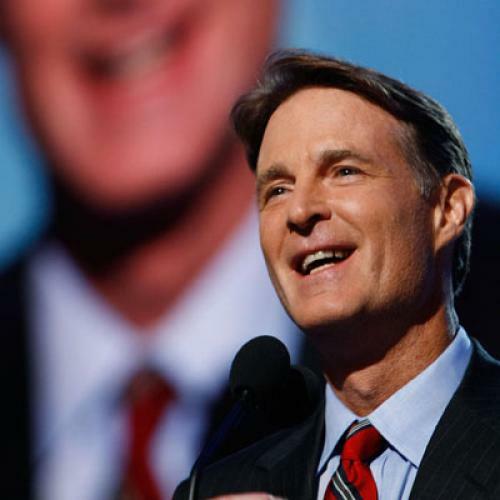 But there are two big problems with what Bayh has written here. One, there's simply no way, with unemployment hovering around 10 percent (a region where it will almost certainly linger for the next 6 months to a year), that the economy could absorb a freeze in domestic discretionary spending next fiscal year (which begins in two weeks) without staggering backward. Even if Bayh were talking about fiscal year 2011--technically the year after next--it would be pretty hard to imagine this being something other than a self-sabotaging idea. Update: Yglesias goes the ad hominem route in responding to Bayh--and I can't say that I disagree with him.